CA, May 2018: BlackBeltHelp announced today that Mid-State Technical College, one of the sixteen colleges of Wisconsin Technical College System, has selected BlackBeltHelp’s 24x7 IT help desk and LMS solutions. This collaboration will help the technical college support its goal of creating a robust IT support framework for its students and staff. By using BlackBeltHelp’s IT help desk and LMS solutions, Mid-State is enabling enhanced levels of IT support for its more than 8,000 students. As their current contract with the existing vendor Ellucian expires in June this year, Mid-State Technical College issued a competitive RFP to secure a contract that provides a purchasing and pricing framework for help desk services needed to support certain college-wide technology solutions. After several levels of scrutiny, evaluation committee selected BlackBeltHelp, over 10 other vendors, to support almost 4000 interactions annually. This partnership will help the college optimize its existing IT infrastructure and further strengthen the IT framework at its campus. BlackBeltHelp’s proficient customer service agents will tend to college’s end-users’ issues and ensure their timely resolution. 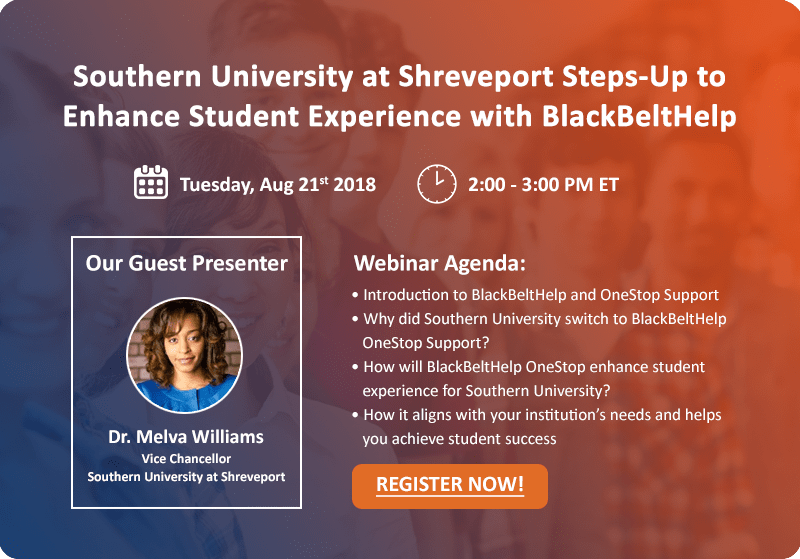 Working as an extension of the college’s team, BlackBeltHelp will ensure that someone is always there to address the problems Mid-State’s end-users encounter. “A robust IT support framework is critical for the smooth functioning of various processes at an organization – the users expect immediate response and resolution when they call the help desk with issues or requests. That’s why it becomes imperative for the institutions to keep their IT Helpdesk up and running" said Ron Bhalla, CEO, BlackBeltHelp. “We are constantly innovating to keep pace with the growing expectations of end-users today to maximize student access and student success. We are pleased to have been selected by Mid-State Technical College and now look forward to helping them improve the student experience at their campus" he further added. Mid-State Technical College (also MSTC) is a technical college in central Wisconsin. It has major campuses in the Marshfield, Stevens Point and Wisconsin Rapids communities and is one of the 16 schools in the Wisconsin Technical College System.